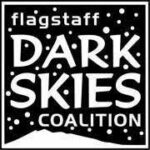 The 5th annual Flagstaff Star Party. 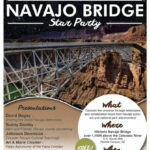 Nov. 17-18, 2017 is the Navajo Bridge Star Party over the Colorado River in Marble Canyon, AZ. This year, presentations about the Navajo constellation and storytelling are included. The featured Navajo speakers are Dr. David Begay, Sunny Dooley and Johnson Dennison. Lots of Saturday day activities including a hike of the Paria Corridor.